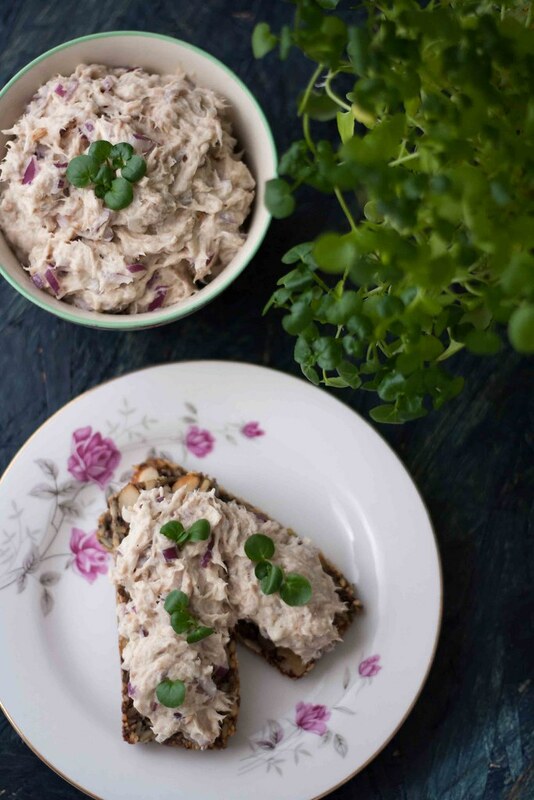 This recipe for smoked mackerel salad is healthy, super delicious and very easy to make. In Denmark the official recommendation from the Ministry of Food, Agriculture and Fisheries is that you eat fish at least two times a week (total of 350 g – 12 oz). Fish is known to be a good source of several good nutrients and vitamins like D-vitamine, protein and fish oil. This mackerel salad will help you comply with this recommendation. Fresh fish can at some places be difficult to get a hold of due to large distances to the ocean. In Denmark we have about 7300 km (4500 miles) of coastal line and no matter where you are the distance to the coast is maximum 1 hour by car. This means that we have really good opportunities of getting fresh fish – so at least we can’t have any excuses of not eating enough fish. 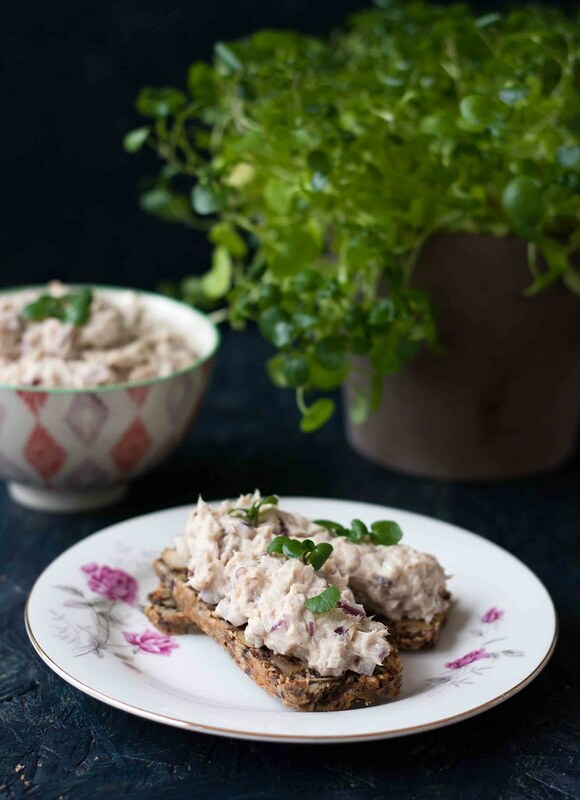 We normally eat this smoked mackerel salad together with some fresh rye bread or our healthy and very delicious stone age bread. 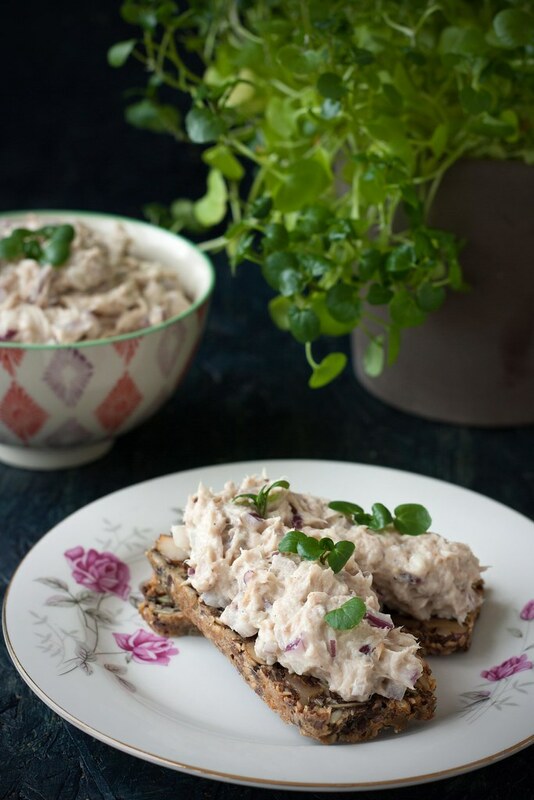 You can also serve the mackerel salad with a lettuce and a some tomatoes – then you have a lovely starter. Step 1: Remove the bones from the mackerel. Step 2: Mix the sour cream, mayonnaise, lemon juice, the finely chopped red onions and pepper in a bowl. Step 3: Pick the mackerel into pieces and add it to the dressing. Mix well. 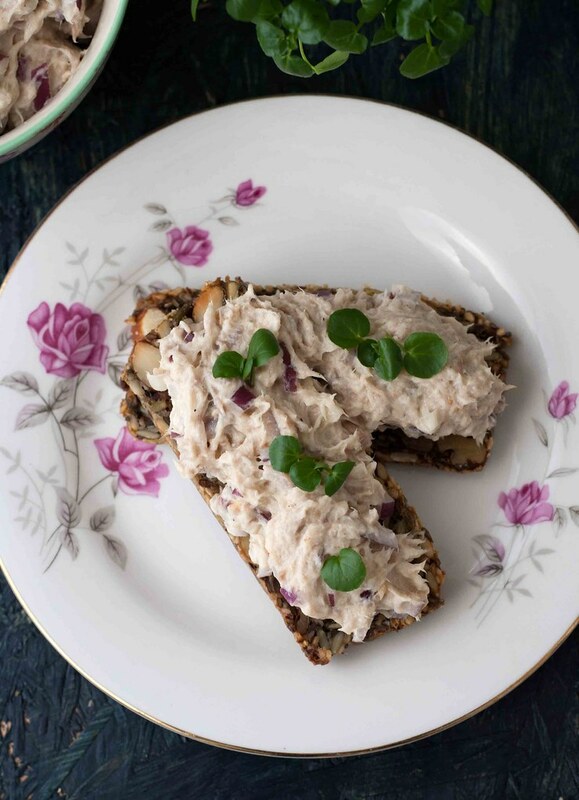 Tip: Serve the mackerel salad with some bread like rye bread. We will highly recommend trying our healthy stone age bread made from nuts, seeds and grains. Could I sub mayo with mustard? Yes I actually believe that you can do that. But add it in steps and add to taste. I just love what the Danish do with mackerel. I love that makerelsalat that comes in tubs with mayonnaise on the top but I can’t find it here. Do you have any recipes for something similar? I don’t have a recipe for the ‘Mackerel in tomat’ (with mayonnaise on top) which is very popular here in Denmark. But I’ll put it on my list and make a recipe sometime in the future.